We espied a truly amazing sight in a Palm Springs supermarket parking lot: a dusty ’61 Imperial bearing British Columbia plates, at least 1300 miles from home. A very elderly couple, perhaps the original owners, had apparently driven the beast down for the winter and we were duly IMPressed. When all other car makers, even Cadillac which started the trend back in 1948, had abandoned or diminished their rear fender appurtenances, Chrysler equipped its luxury marque with the tallest, most extreme pair of tail fins the car biz had ever seen. Would you look at the size of those things? What a pair! Note the shadow they cast — seems like some kind of Bat signal projected on the blacktop. These are bigger than even those on the ’59 Cadillac which usually serves as the definitive hallmark of 50s-era “jukebox” styling excess. Imperial’s fantastic aft quarters were downsized the next year so this is something of a last hurrah for this kind of design think — the literal “end” of the line. We offer this this rolling art statement of a ’59 Cadillac for comparison purpose. 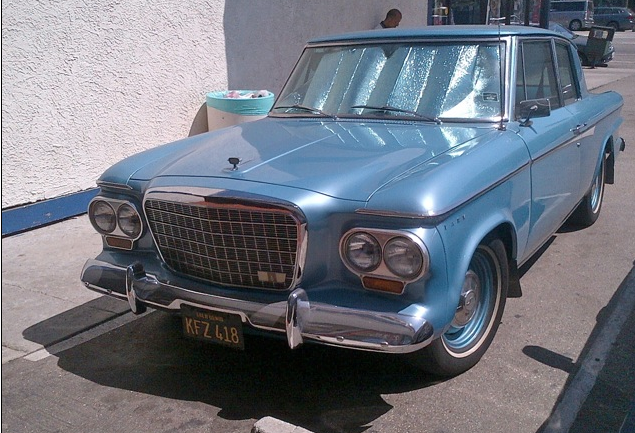 It’s kind of telling that the voice over of this ’61 Imperial commercial makes no reference to the fins. The emphasis is on the free-standing lantern style headlights up front as well as the usual luxury trappings of a “fine car.” The fin party was pretty much over and Imperial seemed to stay too long. 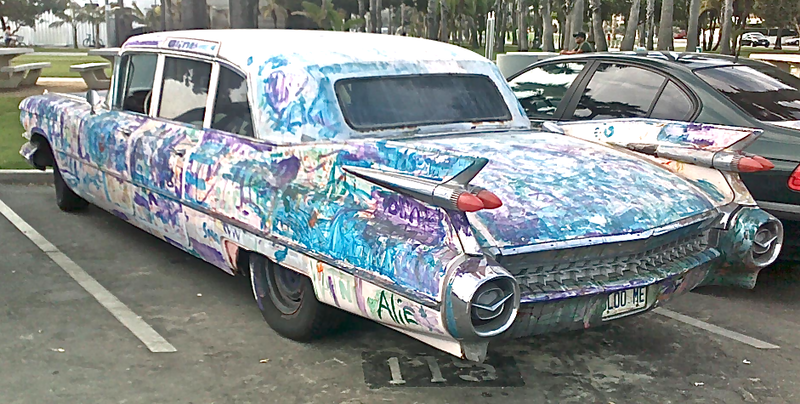 This entry was posted in Cadillac, Chrysler, Imperial, Uncategorized on 09/29/2013 by feralcars. 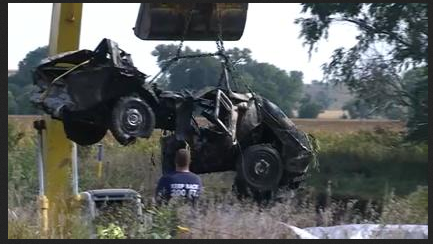 News today from Elk Point, SD that skeletal remains found inside a 1960 Studebaker Lark that was discovered submerged in Brule Creek may be those of two 17 years old girls missing for the past 42 years. 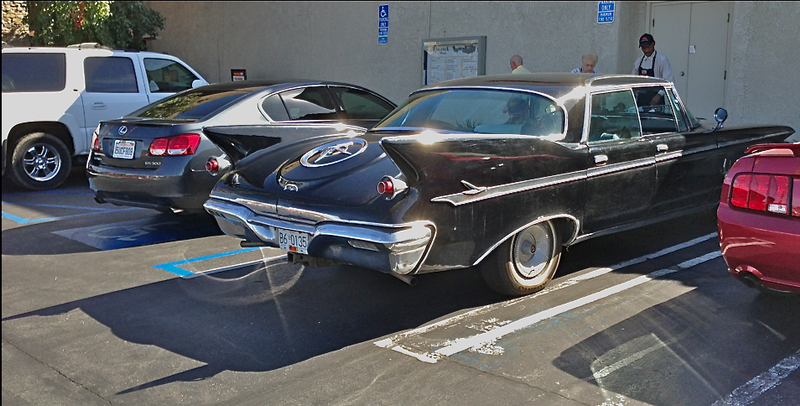 The Lark 2-door sedan was upside down and not spotted until just now for some reason. It’s wearing factory issue Studebaker “dog dish” hubcaps and the still intact license plate matches that of the missing girls’ ill-fated Studey. Cold, cold case and a sad ending for the teens who would have been almost 60 now as well as a car near and dear to Feral Car folks like us. On a MUCH lighter note, roving Feral Cars reporter Amy Treco spotted a nice ’63 Lark, right side up, the other day and we dig its very basic, no-frills looks. There are lots of restored and protected convertibles and hardtops out there but not all that many bottom-of-the-line 2-door sedans like this feral find which wears the same “dog dish” hubcaps as the the one in which those teens, apparently, perished so long ago. Here’s a TV commercial from the same year as the cold case Lark that explains why Studebaker’s compact was like no other. 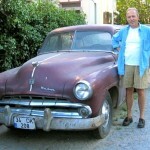 This entry was posted in Studebaker, Uncategorized on 09/26/2013 by feralcars. The Volkwagon Microbus or Kombi or Transporter or Samba or Vanagon has been part of the known world’s vehicular landscape for upwards of 63 years. Now comes news that Volkswagen do Brasil, the last manufacturer of what’s come to be known as the VW “hippie bus” — even now that innocent hippies have been supplanted by, justifiably, reviled hipsters — is ceasing production of the vehicle that has long been a symbol of anti-materialism. VW’s Brazilian affiliate announced that production will cease at the end of this year due to the fact that it is unable to bring the bus, born “Type 2” back in 1950, into compliance with contemporary safety standards. Because over 10 million were manufactured worldwide, it’s going to be a while until they become as scarce as, say, the self-immolating Chevy Vegas or the rust-on-the-run Renault Le Car, to name but two now seldom seen mass produced vehicles. 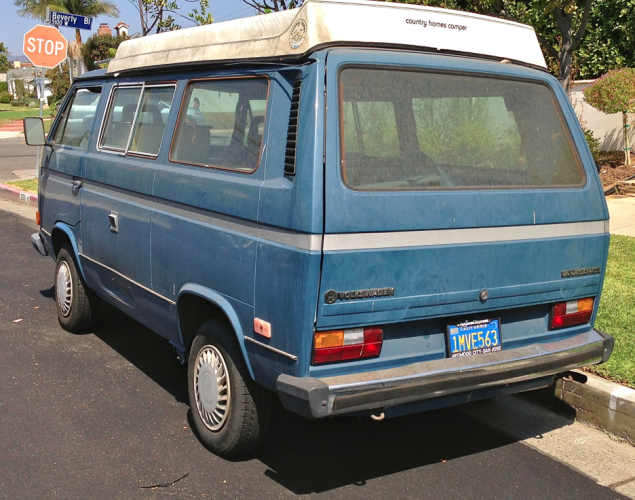 Special note: two years ago a ’63 VW Samba bus fetched a whopping $217,800 at Barrett-Jackson’s Orange County auction. In our travels around the neighborhood we encountered more than a few of these which we firmly believe could be had for less than half of that. Maybe even a quarter. An eighth? The basic concept for the groundbreaking VW bus concept is laid out quite brilliantly in this classic Doyle Dane Bernbach TV spot. 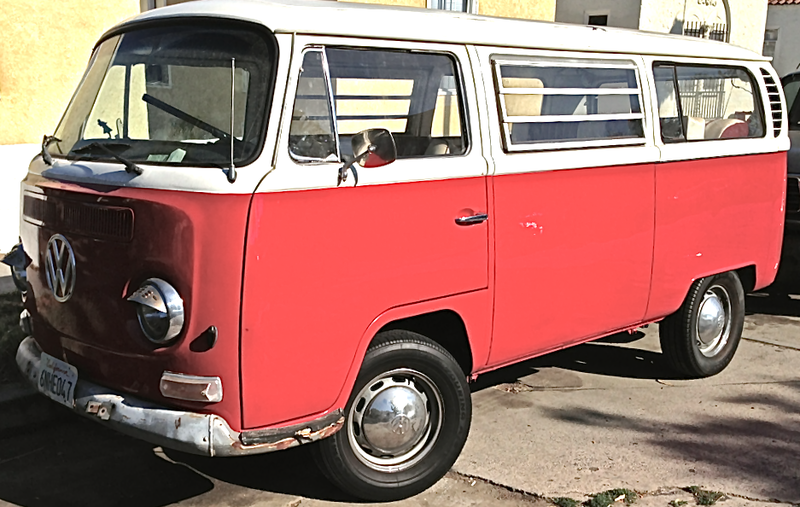 This entry was posted in Volkswagen on 09/25/2013 by feralcars. Where there’s a Willys there’s a way..
After the war – the big one, WWII – Willys-Overland adapted the legendary Jeep for civilian use and, in 1946, launched a 2 door station wagon with 4-wheel drive that was produced until 1965. 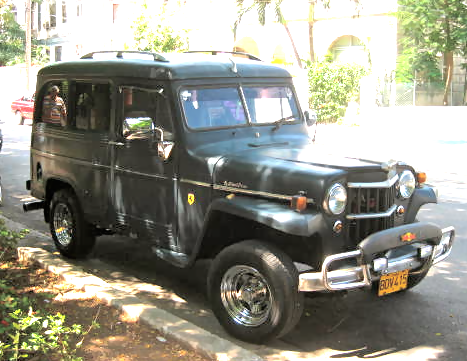 It’s a hallmark vehicle for several reasons including the fact it was designed by Brooks Stevens, is considered the first all-steel station wagon and, it can be argued, was the first SUV. Did we mention it’s also kinda funky? We found this one playing the role of a broken-down prospector’s vehicle in a cactus garden tableau. Landscaping with landmark vehicles is all the rage these days among the designerati. Meanwhile, down Havana way, its doppelgänger continues in daily service, one man’s lawn ornament being another’s ride home. Back in 1946 the idea behind this extraordinary vehicle — use it for work in the field and go to the movies with the kids — was explained by a celebrity spokesman, namely, a cabbage farmer. 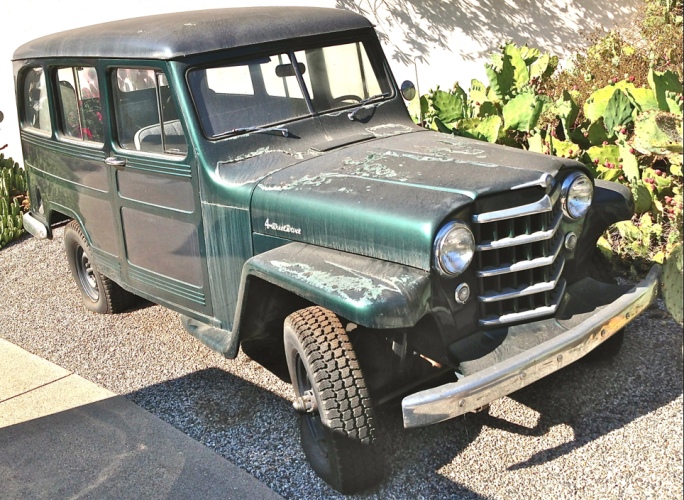 This entry was posted in Jeep, Uncategorized, Willys on 09/24/2013 by feralcars. 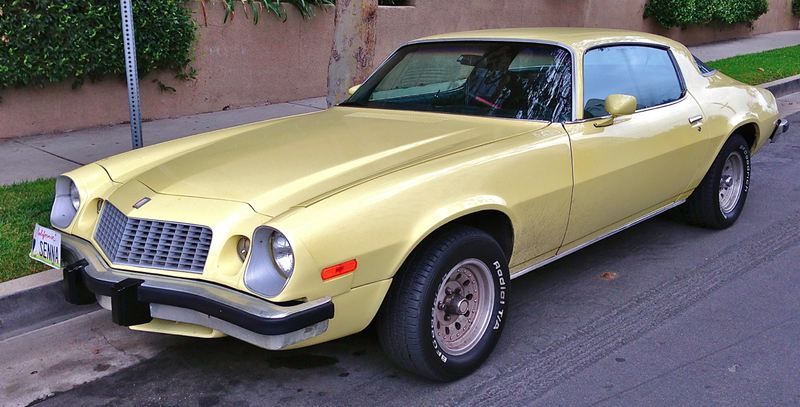 We know that Starsky & Hutch drove a Torino but this ’75 Camaro is a car worth singning about. It’s in great condition except for a bent license plate and some road spray behind the front wheels but a real daily driver* and (mostly) not messed with. Chevy had Ferrari styling specifically in mind for the second generation Camaro which was a big success especially in light of Ford ceding the pony car market it had created eleven years earlier. By this time the Mustang II was based on Pinto architecture and Mercury’s Cougar had moved up to a bigger platform to compete with Chevy’s Monte Carlo and the Pontiac Grand Prix. Chrysler had dropped both the Barracuda and Challenger and AMC 86’d the Javelin, making Carmaro, and corporate sibling Firebird, just about the only game in Ponytown. Camaros of this era certainly look like muscle cars (especially this one with those butch wheels and tires) but the reality is that power was provided by one of two anemic 350 V8s or by a straight six that turned out a measly 105 hp. Not so fast on the road but pretty impressive at curbside, no? *What makes us so sure this is a daily driver? Apart from the fact that it was parked overnight in front of an apartment building, the giveaway is the Sirius satellite radio antenna nestled in the cowl area next to the passenger side A-pillar. Howard Stern’s enduring appeal notwithstanding, who would install one of these and pay for the subscription if it were only driven for “show”? 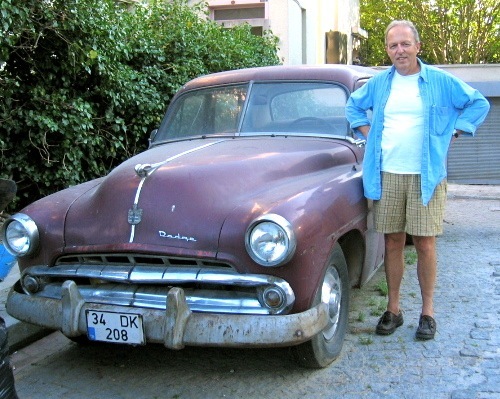 This entry was posted in Camaro, Chevrolet, Uncategorized on 09/22/2013 by feralcars.